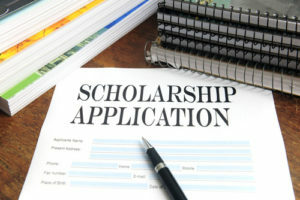 Applications for scholarships will open again in February 2020. Scholarships support promising and deserving students by assisting them with the costs of their education. Donors often establish a scholarship to honor or memorialize friends, teachers, family members or other loved ones. This fund shall provide scholarship grants to provide tuition assistance for a Bishop Flaget Catholic School student of St. Peter Parish, Chillicothe, Ohio, who demonstrates financial need. This fund provides tuition assistance for college to a graduating senior of a Catholic High School in the Diocese of Columbus. This fund provides tuition assistance for a Catholic school student of Holy Family Parish, Columbus, who demonstrates financial need. This scholarship fund provides scholarships to one or more students of Immaculate Conception School, Columbus, Ohio, who complete the seventh grade at the school and will enter eighth grade at the school. This fund shall provide scholarship grants to deserving students attending Tuscarawas Central Catholic Junior/Senior High School, New Philadelphia, Ohio. This fund shall provide scholarship grants to a student who excels in science and is entering the 8th grade at Our Lady of Peace School. This fund shall provide scholarship grants to St. Timothy School for students with learning disabilities. This fund provides tuition assistance to a student attending Bishop Watterson High School who meets the qualifications as determined by Bishop Watterson High School. This fund shall provide higher education scholarship grants to graduating students of Newark Catholic High School pursuing a degree as a Licensed Practical Nurse or Registered Nurse. This fund provides tuition assistance to a graduating eighth grade student of St. Timothy School, Columbus, to attend high school, with preference given for the children of those who serve the US military. This fund shall provide scholarship grants to deserving eighth grade students of St. Agatha School, Columbus, who desire to attend Bishop Watterson High School in Columbus, Ohio. This fund shall provide scholarship grants to provide tuition assistance for students of St. Francis DeSales High School, Columbus, Ohio, and Cristo Rey High School, Columbus, Ohio. This fund provides tuition assistance to students of William V. Fisher Catholic High School in Lancaster, Ohio. This fund shall provide scholarship grants to no less than two graduating high school seniors from the Diocese of Columbus who have been nominated by a parish leader for willingness to serve others and are interested in pursuing higher education for the vocation of nursing or teaching. This fund shall annually provide one student with a scholarship grant up to full tuition to attend St. Patrick Elementary School, London, Ohio. This fund shall scholarship grants to 8th grade Immaculate Conception (Columbus) student athletes who will attend a Catholic High School. This fund provides tuition assistance to a senior student meeting all the requirements for graduation from a high school in the Diocese of Columbus, Ohio and that is accepted at and enrolled in the Mount Carmel College of Nursing, as confirmed in writing. The purpose of the Fund is to provide scholarship grants to two (2) students who are active members of St. Margaret of Cortona Parish, and who attend a Catholic high school with preference for students attending Bishop Ready High School or St. Charles High School. This fund provides tuition assistance to deserving students attending Bishop Watterson High School. This fund will provide one scholarship grant to one senior student who attends Hilliard Darby High School in Hilliard, Ohio, and plans to pursue a post-secondary degree in a Special Education related field. This fund shall provide scholarship grants for the first year of college tuition for either a graduating senior of a Catholic high school in the Diocese of Columbus or a senior high school student who is a parishioner in good standing of St. Peter or St. Mary Parish in Chillicothe, Ohio. The purpose of this fund is to provide scholarship grants to Catholic students who attend or will be attending The Ohio State University and is an active member of St. Andrew Parish, Columbus, Ohio, St. Agatha Parish, Columbus, Ohio, Our Lady of Victory Parish, Columbus, Ohio, or St. Christopher Parish, Columbus, Ohio or have primary residence in the Tri-Village area of metropolitan Columbus, Ohio, which includes Grandview Heights, Marble Cliff, Upper Arlington (south of Fishinger Road), and areas of Columbus west of the Olentangy River and west of Riverside Drive between Fifth Avenue and Lane Avenue. This fund provides tuition assistance to one or more graduating eighth grade students from St. Agatha School, Columbus, who excel in the arts (music, art and/or drama) for their first year’s tuition at a Catholic high school in the Diocese of Columbus.